What is better than a Hawaiian sunset over the ocean? A sunset over the ocean that you can take in from the privacy of your tropical home-away-from-home! 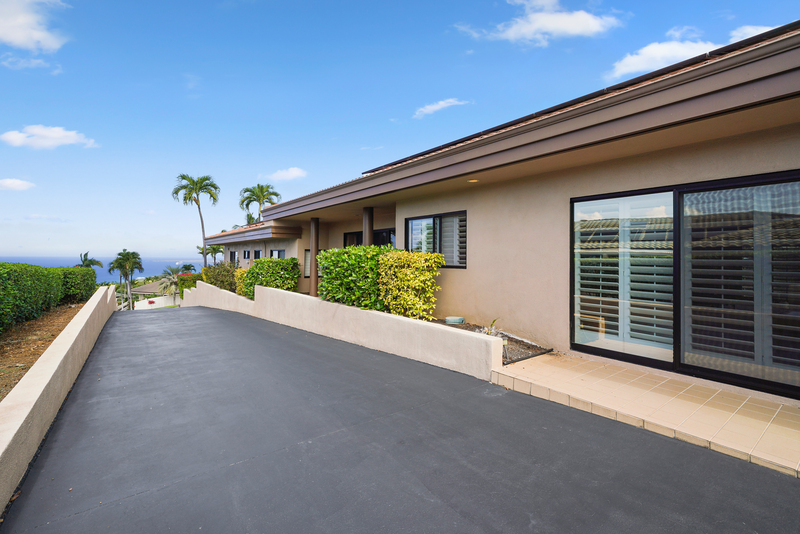 With nearly 5,000 square feet of indoor/outdoor living space, including a lanai with a pool (note that the pool and hot tub are not heated), this exceptional 5-bedroom, 4-bath vacation rental home in Kailua-Kona feels like your own mini-resort. 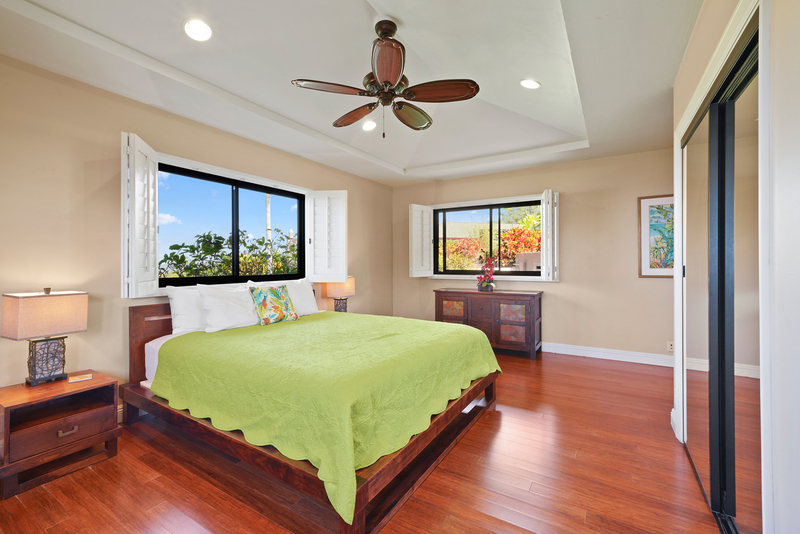 This private enclave is tucked within a prestigious gated community, Keauhou Estates, featuring 24/7 security. When you want to explore, White Sands Beach—considered Kailua-Kona's best beach—is a 5-minute drive away. Kahaluu Beach Park is even closer. 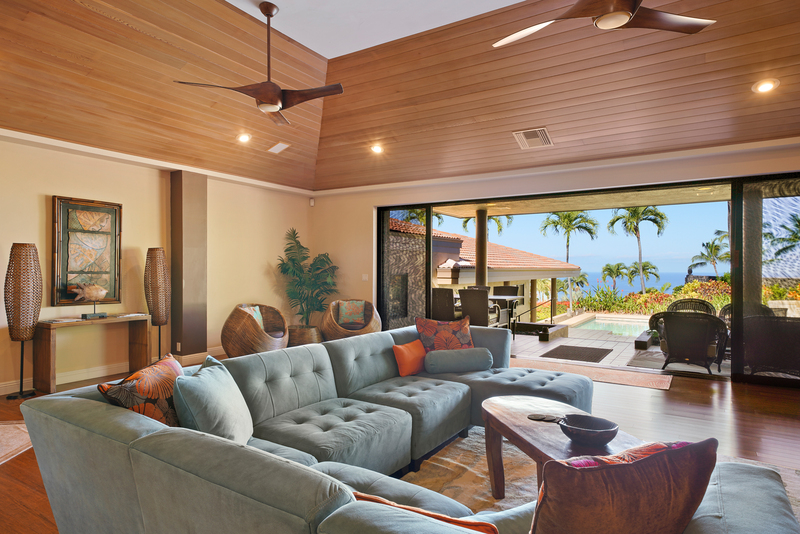 Spend the day marveling at the beauty of the Kona Coast, pick up some fresh fish or burgers on the way home, and share an at-home meal with the sunset as your backdrop. 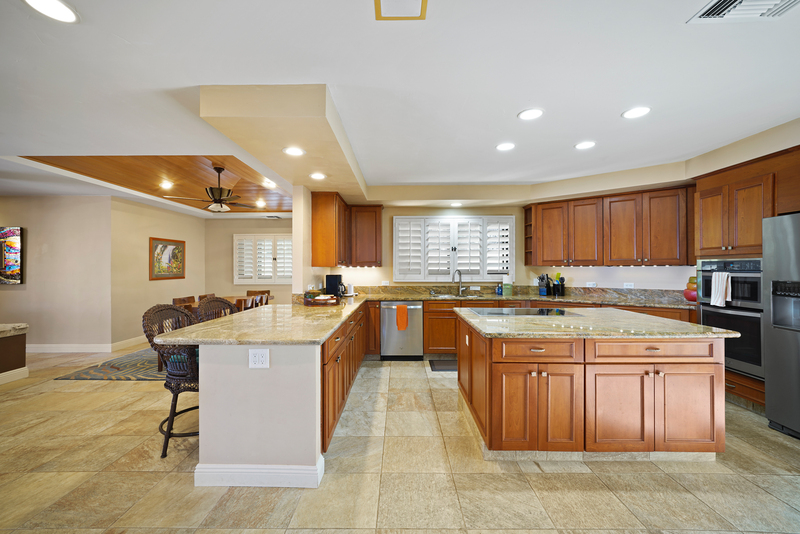 With a full, spacious kitchen and a BBQ lanai, you have options for how to prep dinner. 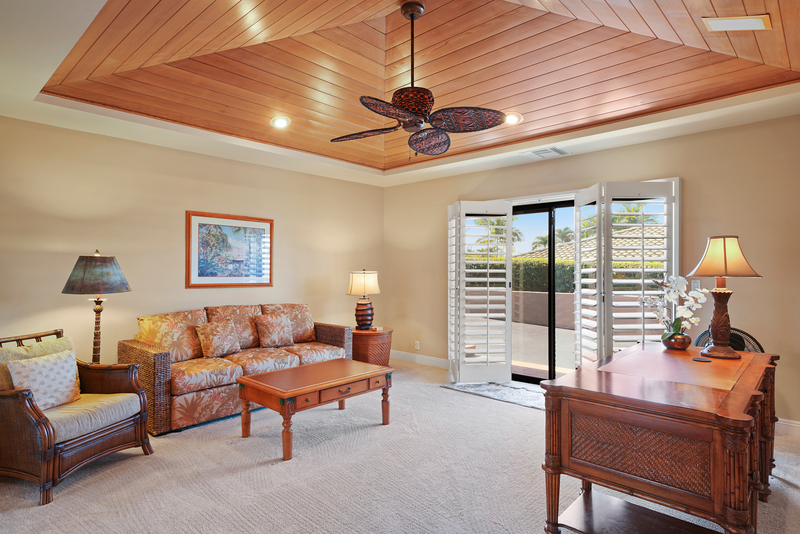 After digging into your feast on the lanai's al fresco tables, retreat to the cozy Great Room. 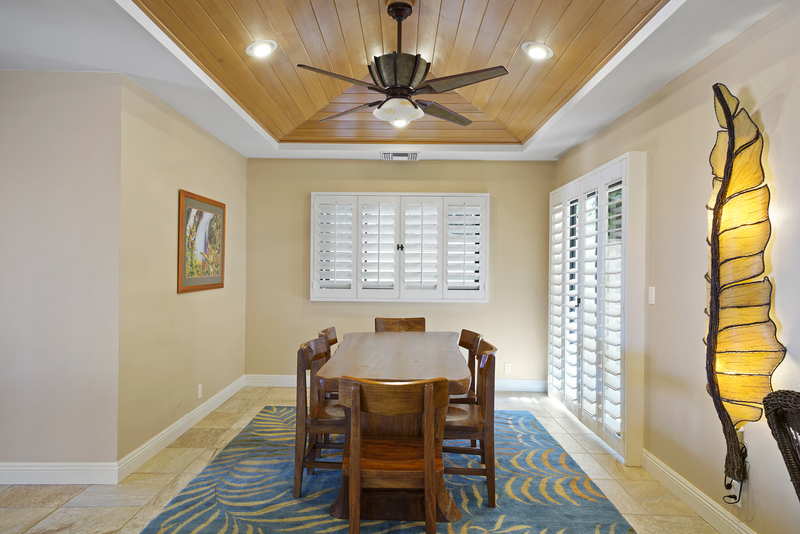 This space opens entirely to the lanai for true Hawaiian indoor/outdoor living. 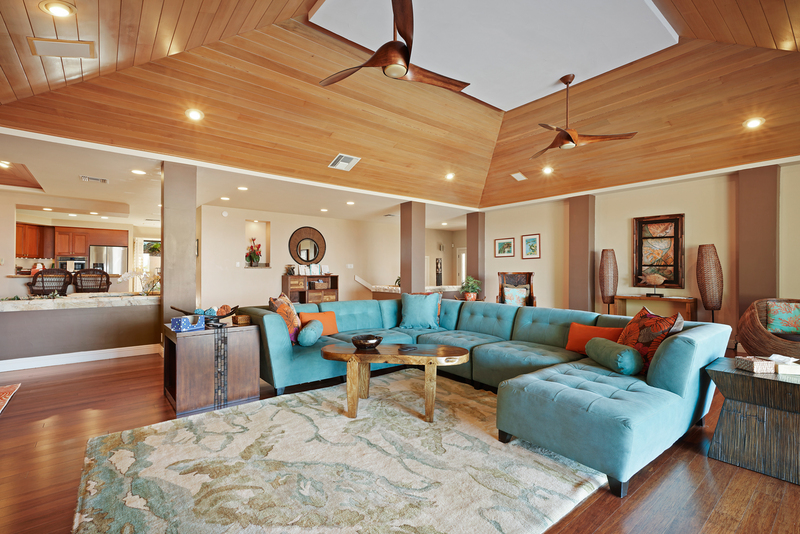 Robin's egg blue sectional and a tray ceiling create a beautifully modern place to lounge. 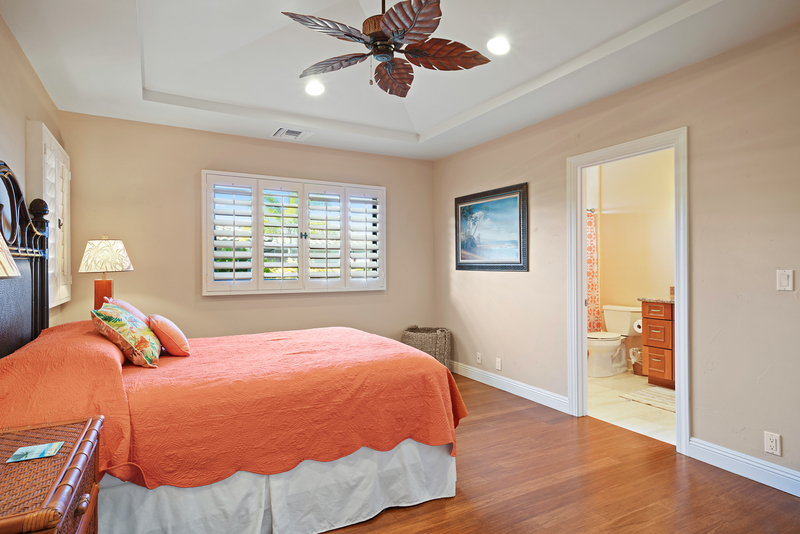 Bedroom arrangements include two bedrooms with king-size beds and one with a queen. A den /TV room converts to an extra sleeping space, thanks to a comfortable sofa bed. An office with a murphy bed also converts into a Queen bed. 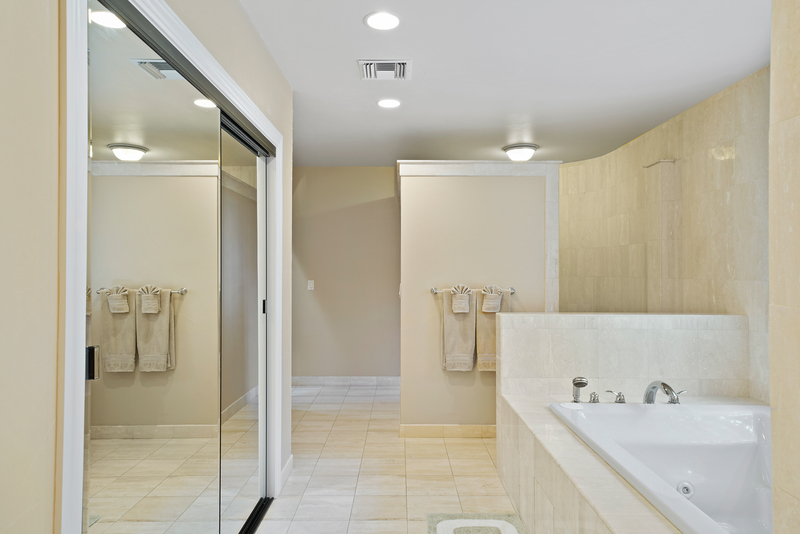 The master suite (one of the king bedrooms) includes a jetted tub in its full bath, and the other king and queen bedrooms also have their own attached baths. Other perks at this well-equipped rental include A/C, wireless internet, in-unit laundry, and plenty of parking.